A luxurious 4/5 hour charter visiting the "Must See", Very Best Marine Destinations on the "North Sound" (Cayman's Premier Snorkel Location) We shall Visit the World Famous "Sting Ray City Sandbar" or the Less visited "Original Stingray City" (Full interaction with the Rays its a 10' snorkel with an abundance of Tropical fish) A Pristine "Coral Gardens" or "Beautiful Barrier Reef" all in a Crystal Azure, not forgetting the ever popular "Starfish Beach" where we lounge around in knee depth water checking out Cayman's Seastars. Our main objective is to spend ample time to enjoy each and every location, if required please see the "Menu Page" to arrange our various Lunch Options. 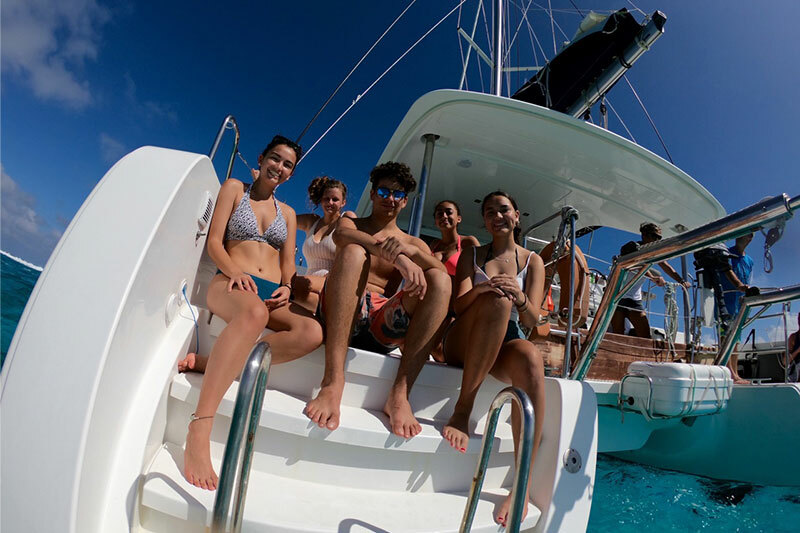 Recommended start times are 8/9 or 10 am, reasonably priced at US$300 per hour please see the "Whats Included" section on all Charters. Maximum 20 passengers, for Ultimate comfort we suggest up to 12 guests.